We are demanding more out of our PC experience these days, not just in terms of portability, but importantly, functionality and usability. What defines a good laptop from a great laptop is not just the design, (although it can be argued that a good-looking outer shell is also very important), but what is inside the machine that helps pack that extra punch. It’s important therefore, to identify a set of features that you will want out of your next laptop - regardless, of whether you plan to use it exclusively for gaming or have it double up as your professional laptop that delivers on performance, especially for graphics and web designers. A key set of features that speak with versatility at its heart is key. Aim high when considering specs. This will likely give you more grunt, so you can reap the benefits of being able to play games on your new purchase as well as being able to get the best out of editing software like Adobe Premiere Pro. Considering that most games will require the latest Intel processor to give the user a fluid and immersive experience, the powerful CPU and GPU is a must. 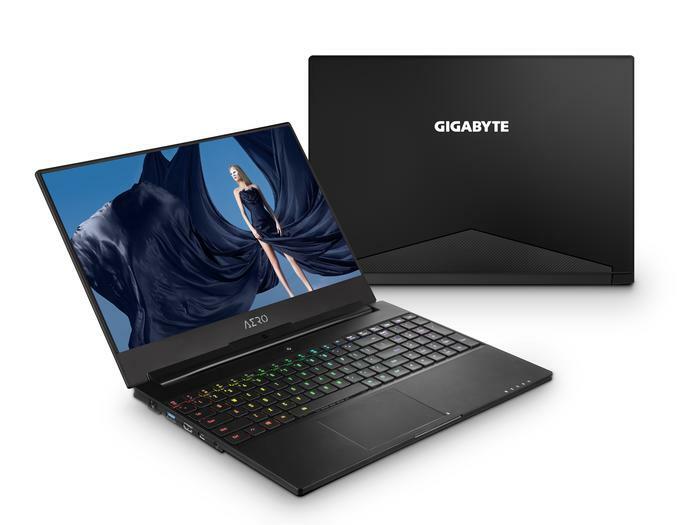 Gigabyte’s AERO 15, features Intel’s 8th gen core processors that offer significant speed improvements of up to 40 per cent when compared with their 7th gen counterparts. The performance is further enhanced with Nvidia GeForce GTX 1060 with 6GB of memory and the GTX 1070 with 8GB of memory. Storage-wise, it has dual M.2 PCIe x4 SSDs, with lightning fast transfer speeds and response times. If you want to sit on the cutting edge when it comes to performance, this very versatile set-up, is the one to go for. Only a few years ago, the highest refresh-rates available sat around 60Hz or 70Hz. However, the recent rise of eSports has driven increased demand for more responsive displays. Going forward, 120Hz and 144Hz displays, like that found in Gigabyte’s AERO 15, should become the norm. It’s also important to note that this particular laptop is the first laptop offering a *X-Rite™ Pantone® certified display. This translates to good news for graphic designers. Most displays require colour calibration software to ensure colour accuracy, with the AERO 15, what you see is true colour reproduction, the screens are factory calibrated to produce consistently accurate colour display. Additionally, the AERO 15X has a full 4K UHD IPS WVA display option, with a whooping 3840 x 2160 resolution display that that allows for 100% Adobe RGB compatibility, making your work and gaming experience immersive and real. Longer battery life is a key feature for many mobile professionals. As our workday demands more and more for the modern worker to be switched-on and connected 24/7. Our demands from our laptops are pretty much the same – they have to be dedicated work-horses that won’t fail us when on long-haul flights or long presentations and meetings. AERO 15’s battery life output aims to deliver significantly longer run time, leveraging on a 94.24Wh lithium-ion battery to give the user maximum performance when and where you need it, doubling the run-time of most of it’s competitors. An advanced ambient light sensor automatically adjust the light levels around you, so that it cleverly saves battery life when higher light output is not needed. There is a growing demand for better keyboards, especially for laptops dedicated to gaming where there are certain features and specs that make them unique to the standard non-gaming equivalents. If you don’t want to compromise, then a more sophisticated hardware in terms of keyboard technology design needs to be considered. AERO 15’s keyboard is a dream. It features the much-loved RGB Fusion software that has over 16.7 million colours for your customised personalisation for any key. Having a feature like the N-key rollover will also guarantee that you stay competitive when it comes to online games such as Overwatch, Counter-Strike and Fortnite. N-Key rollover ensures each keypress is detected regardless of how many other keys you are pressing or holding down at the time. This paves the way for a more reliable and responsive play experience where precision matters! 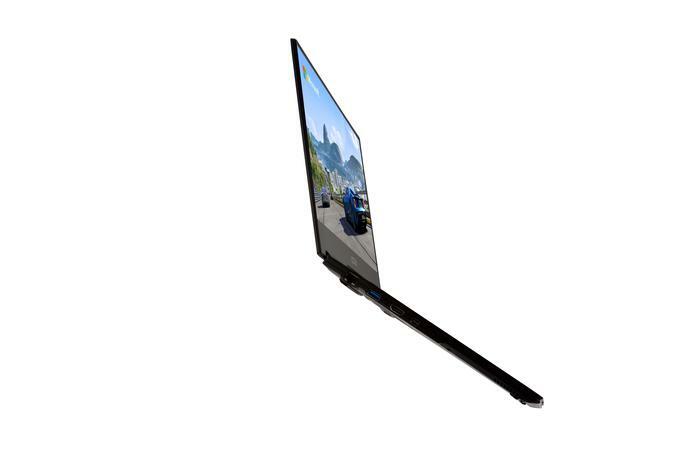 As with smartphones, unnecessarily thick bezels on gaming laptops are rapidly becoming a thing of the past. There’s a good reason for this too, as we move towards the bezel-less look, the display looks slick as hell! And it also adds just that bit of extra screen space for users who want a gaming laptop to double up as a powerful mobile workstation, and every bit of display screen makes a difference, whether you’re on an Excel spreadsheet or working on a web page design. Having a thinner bezel also adds extra immersion for gamers. Overall, this is a great addition where you get the portability without the need to compromise too much on the size of the screen. One of the main gripes with the modern laptop is many of them sacrifice I/O ports in order to deliver on a slimmer, lighter machine. That said, having multiple ports are very important when you want versatility out of your laptop. AERO15 sports not only your standard 1 x Thunderbolt™3 (USB Type-C), 3 x USB (Type-A), but also a high-speed UHS-II SD card reader that will delight the next new YouTuber or professional photographer alike delivering read and write speeds 12 times faster than a standard card reader. 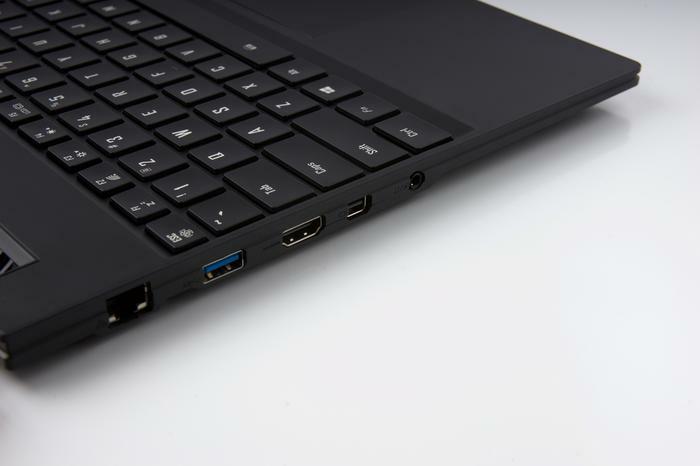 Other port array includes HDMI 2.0, mini-DP 1.4, Ethernet and audio input/output; this laptop caters for adaptability for the user, whatever their need. Your next high-end, high-spec laptop is here! Gigabyte’s AERO 15 is versatile and efficient, with cutting edge technology under the hood and jam-packed with those extra special indulgence, like the Dolby Atmos sound experience or the customisable back-lit coloured keyboard, means you can now not only depend on your professional laptop to deliver on performance, but that you will love the experience of owning and using this first-class laptop too.